Most people know that Max gets on his kicks. And when he does, he becomes a fanatic. Way back when it was The Wiggles and the guitar, then it was cowboys, then trains, then dinosaurs, then trains again, then monkeys, then Star Wars. Star Wars was a long time–too long. But then he got back into monkeys and monkeys is associated with climbing. 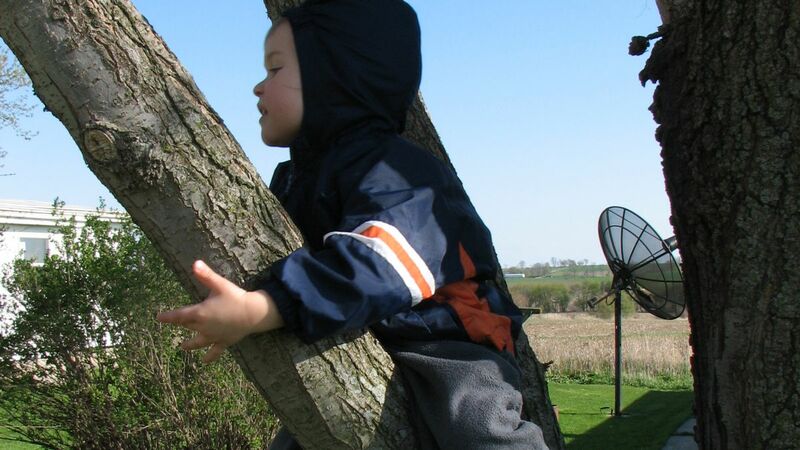 Max has always been a climber. You’ve maybe even seen him climbing up me. You’ve certainly seen him climbing up the doors. The crazy boy climbs everywhere! And man! Can he climb. Since then we’ve picked up some materials on climbing clubs but we’re not sure about watching our son hang by two fingers from a sheer cliff 200m in the air. For now, enjoy this climbing song called Badadubim that Max wrote for me on father’s day when he was about four. The best part is at the very end.